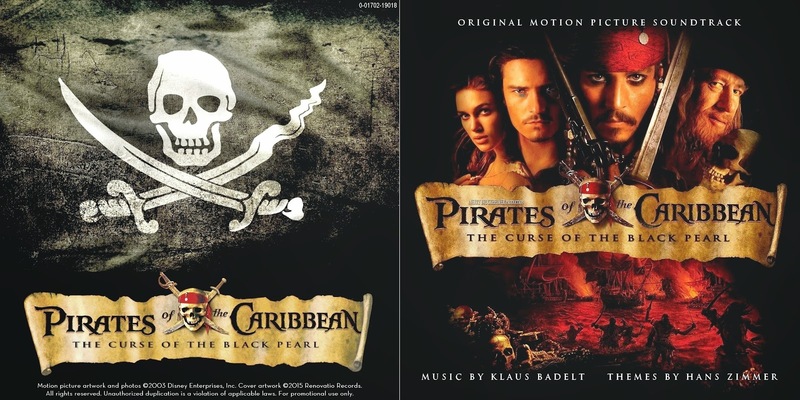 Renovatio Records has set sail into the the high seas and presents you with the score for Pirates of the Caribbean: The Curse of the Black Pearl, composed by Klaus Badelt, in collaboration with Hans Zimmer. 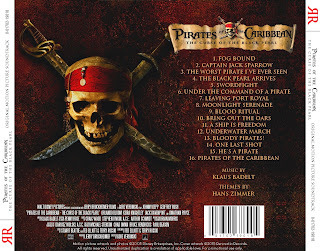 The swashbuckler fantasy film is based on the Disney theme park ride of the same name and quickly became an instant hit, providing a solid ground for one the most successful film franchises of the latest years. 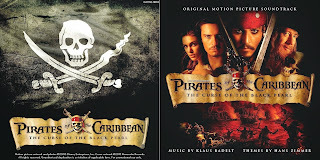 Directed by Gore Verbinski, produced by Jerry Bruckheimer, and starring the talents of Johnny Depp, Keira Knightley, Orland Bloom, Geoffrey Rush and Jonathan Pryce, among others, the film tells the story of Captain Jack Sparrow, blacksmith Will Turner and the latter's love interest, Elizabeth Swann, who are forced to deal with Captain Hector Barbossa and his Black Pearl, a cursed ship whose crew become undead skeletons at night. 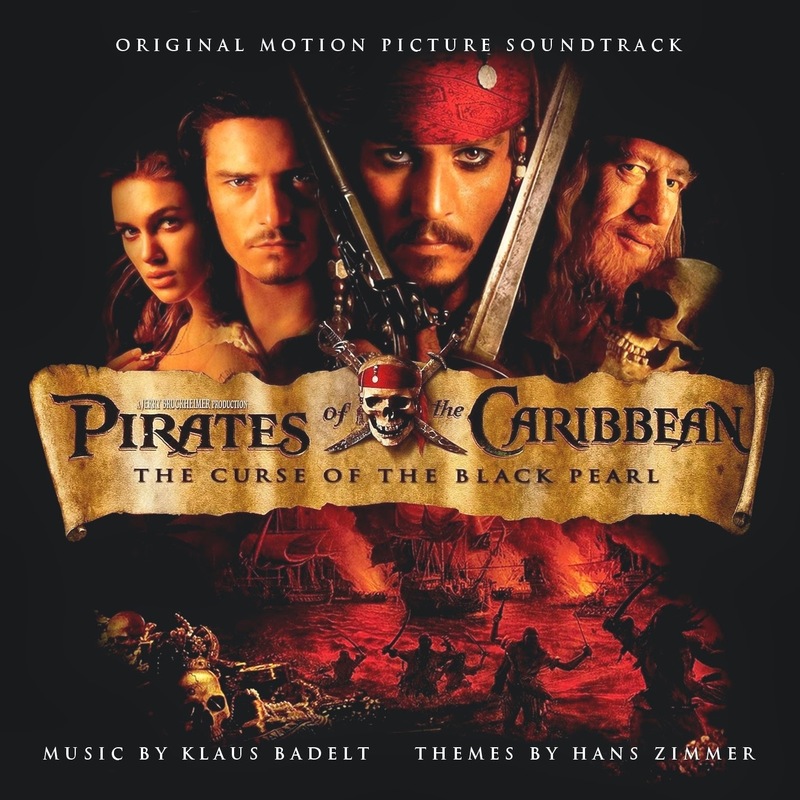 At an early stage, Alan Silvestri was attached to compose the score, but he was dismissed by Bruckheimer (a decision some fans will never forgive) in favor of hiring his fellow frequent collaborator Hans Zimmer, who brought Klaus Badelt aboard along with his team of young aspiring composers (almost fifteen people in total). Zimmer took credit of the themes for the film, which he would expand in the following sequels, and Badelt and co. did the rest of the work. 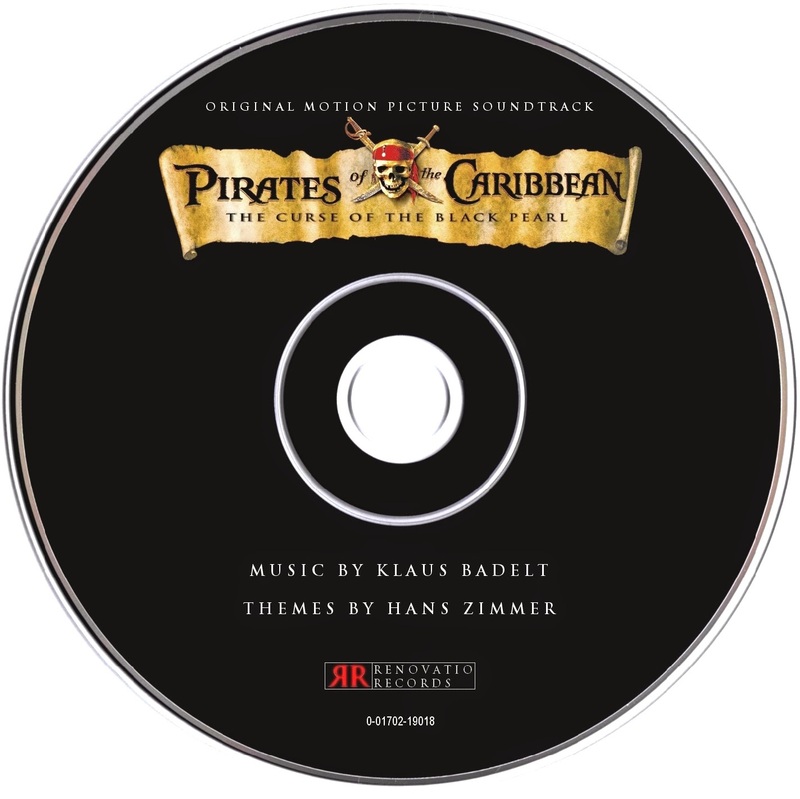 The score was considered simplistic and uninspired by many critics, who also found in the music a guilty pleasure, having enjoyed its cliched motifs and techniques. 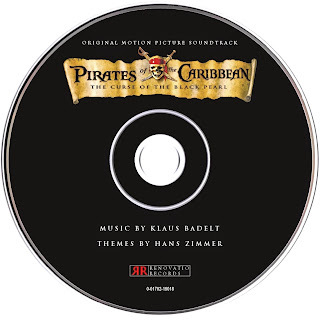 The main theme would later become an iconic feature of the franchise, making its way into live performances from many school bands and film music concerts. 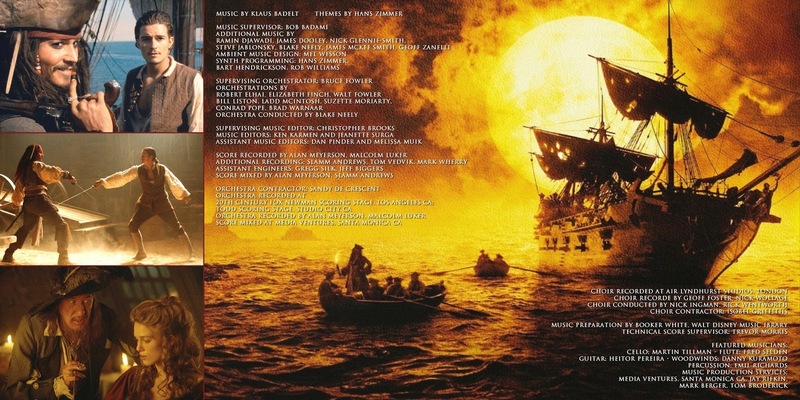 The score was released in 2003 by Walt Disney Records in the form of an album that was badly arranged and mixed, with many tracks sounding extremely loud, causing an almost intolerable dissonance at times, that could even hurt your ears! This, along with most of the tracks incorrectly labelled, made the listening experience quite a challenge. Now, Renovatio Records brings forward a new arrangement of this highly enjoyable score in a better balanced representation, that also incorporates previously unreleased material. Enjoy it, lads!! Thank you for your effort. Just a little comment... "One Last Shot" has a terrible glitch at 1:39. Why? Can you fix it? Hi again! The problem has been fixed. It was indeed a problem in the source files, to the point that even the commercial album contains glitches... I had to clean them manually! All is fine now. Sorry for the delay. Thanks again for spotting the issue.